ADWEEK notes: Social commerce is typically Facebook’s and maybe Pinterest’s domain. But Twitter doesn’t usually factor into the conversation. 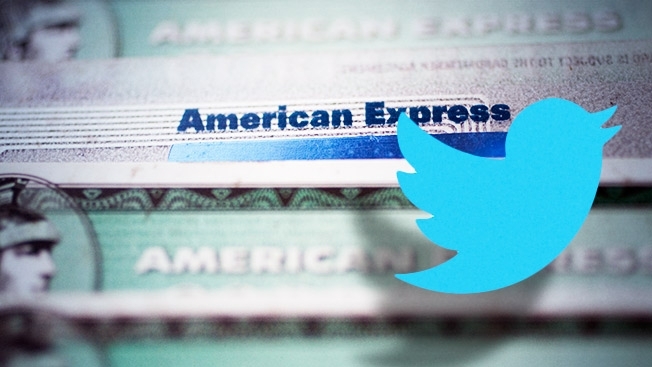 American Express began to change that last year when it rolled out the ability for card members to connect their accounts and tweet hashtags to receive merchant offers. Now, less than two weeks after Facebook and Discover partnered on the offline Facebook Card, American Express is taking Twitter a step further. Starting today American Express card members can link their Twitter accounts with their American Express accounts and tweet specified hashtags to actually buy products on the social network. The program is the latest in a spate of partnerships American Express has executed since 2011 leveraging its Card Sync technology—connecting card members with their Foursquare, Facebook, Twitter and Xbox Live accounts. But those programs have all only delivered deals, not actual goods. Consider this launch Card Sync 2.0. Amex’s Twitter Offers program has run thousands of offers from merchants across the country, resulting in millions of dollars saved by card members, Berland said. The Sync program typically appeals younger than average card members who are just as affluent, she added. At launch, card members who have opted in can purchase a $25 Amex gift card for $15. On Wednesday five more products will be added: a $149 Amazon Kindle Fire HD, a $179 Sony Action Cam and waterproof headband mount, an $80 Urban Zen bracelet designed by Donna Karan, a $179 Microsoft Xbox 360 (including a 3-month Xbox Live subscription, two game tokens and a $29 Xbox controller). Those products will be available until March 3 if they’re not out sold out by then. Each product will carry its own hashtag, which will also be featured as favorites on Amex’s Twitter page. After opted-in users tweet a hashtag, they’ll get an automated response to their Twitter account with a confirmation code. Users have 15 minutes to tweet the confirmation hashtag. Once they do, Amex will process the order and send the product via free two-day shipping. The idea of making a credit card purchase through Twitter could make some people uneasy, but the entire enrollment process takes place through Amex, as was the case with its previous partnerships. After a user tweets one of the hashtags, Amex will check whether that Twitter handle has enrolled in the program. If they haven’t, they’ll be directed to an Amex landing page to connect their card and Twitter account. Amex will be able to see if someone has already enrolled in the Twitter Offers program and will just need to confirm that user’s billing and shipping addresses. American Express will promote the latest program using Twitter ads, including Promoted Tweets and Promoted Trends, as well as through emails to card members and messaging on its own site. “From a targeting [perspective], we’re looking at those following the relevant merchants and tweeting about related products and services,” Berland said of the ad campaign. Berland said she doesn’t consider the latest Twitter program a pilot, saying that “from here it can grow and take shape.” Though she wouldn’t say whether it could take shape on Facebook, Foursquare, Xbox Live or even potentially Pinterest, the last major social network lacking a Card Sync partnership.